Follow these links to find out more about the Health Policy Project's related work. Interview was originally published in the January 2015 newsletter. Denise Namburete is the executive director of N'weti Health Communication, a nongovernmental organization based in Maputo, Mozambique, that uses social and behavioral change (SBC) practice, policy, and advocacy to address the health needs of Mozambique's adolescent population. Namburete develops and implements programs to change social norms and behaviors related to a variety of health and gender issues, including discrimination and gender-based violence. HIV Policy and Advocacy Monitor: How did N'weti become involved in policy and advocacy activities? N'weti began in 2007 with a focus on applying social and behavioral change (SBC) to a variety of public health issues, as well as their relation to gender and human rights. However, as we began implementing SBC programs, we recognized the need to also strengthen Mozambique's health policies and reduce the policy barriers that prevent people from adequately accessing health services. HIV Policy and Advocacy Monitor: What examples in your work specifically address these policy barriers? N'weti's work on behalf of women who suffer from domestic violence is a good example. While the organization has educated women about available services, prior to 2009 many were still unable to access legal protection and care options because the police did not consider domestic violence a crime. Without a legal platform to assist women who suffer from domestic violence, behavior change alone will not lead to societal change. 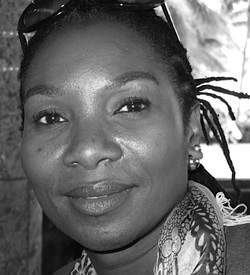 To address this, N'weti developed an advocacy campaign involving civil society partners, led the campaign's media advocacy component, and produced a number of media segments for various outlets to build public pressure on Parliament to pass the 2009 Bill on Domestic Violence, which includes harsher punishments for domestic violence. HIV Policy and Advocacy Monitor: What other policies is N'weti working to advance? N'weti has successfully advocated on behalf of laws protecting people living with HIV in the workplace, as well as vulnerable children. We also achieved the inclusion of strategies in the Mozambican National AIDS Plan that identify the issue of high HIV transmission risk with multiple concurrent partners. As a member of the National Budget Monitor Forum in 2014, N'weti has monitored the implementation of the state budget, paying particular attention to transparency and accountability on broader health sector policies. We have coordinated with other civil society organizations, designed and distributed messaging, and used data to demonstrate the value of directing funding toward the areas of greatest need, including education and child immunization. HIV Policy and Advocacy Monitor: What challenges do organizations like N'weti face when conducting policy and advocacy activities? N'weti has faced challenges in discussions with policymakers due to our limited access to evidence for our advocacy efforts. Our complaints to the Ministry of Health are often ignored because we lack the necessary data to demonstrate the existence of the problems we are trying to solve. To remedy this, we now systematically collect data for our advocacy work. In partnership with the Health Policy Project (through the PEPFAR-funded Local Capacity Initiative), we have expanded data collection to monitor health service provision and medication stockouts. Once the data are analyzed, we expect to use our analysis to develop an advocacy strategy targeting the government to improve the quality of services and avoid stockouts. HIV Policy and Advocacy Monitor: What are the most important HIV policy issues in Mozambique? HIV policy issues are directly linked to broader health sector issues in Mozambique. Currently, health sector budgeting does not follow policy priorities, and the country is not in a position to determine whether money is directed toward the greatest need. For example, there is little data on whether malaria or HIV and AIDS receive appropriate responses or adequate funding. Until there is greater budget transparency that follows policy priorities, we cannot address other policy challenges.